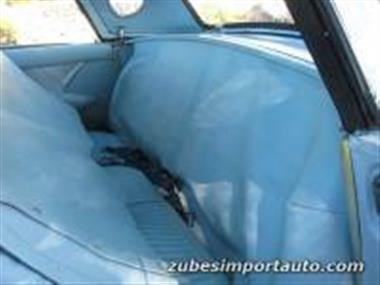 1955 Ford Thunderbird in 93401, CA for sale. 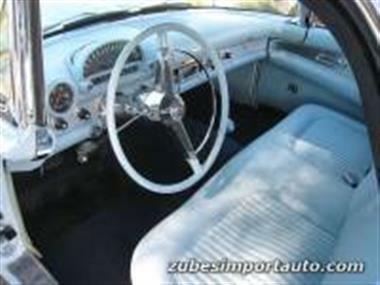 HEREandrsquo;S A RARE OPPORTUNITY TO OWN A LOCALLY OWNED 1955 FORD THUNDERBIRD CONVERTIBLE WITH 3 SPEED MANUAL TRANSMISSION! 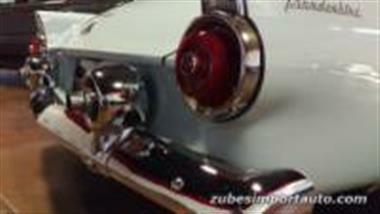 UPGRADED FRONT DISC BRAKES, 12 VOLT CONVERSION, HOLLEY 4 BARREL CARB, AND ELECTRONIC IGNITION. 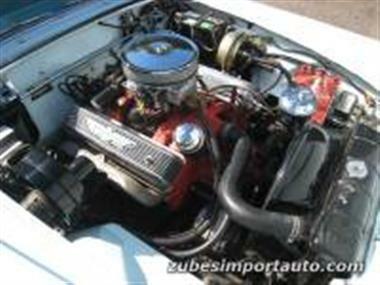 ORIGINAL PARTS (CARB, AIR FILTER COVER, TIRES, FRONT BRAKES), INCLUDED WITH SALE.</p><p>THIS ONE IS A BEAUTY- MUST SEE!</p><p>THIS T-BIRD WAS FRAME OFF RESTORED STARTING IN AUGUST OF 1988 AND COMPLETED IN APRIL 1990. PHOTO BOOK OF RESTORATION INCLUDED. 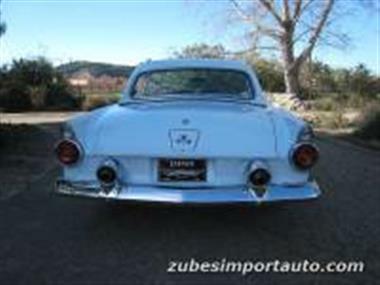 ALSO COMES WITH GARAGE HOIST FOR EASY REMOVAL/STORAGE OF HARD TOP. 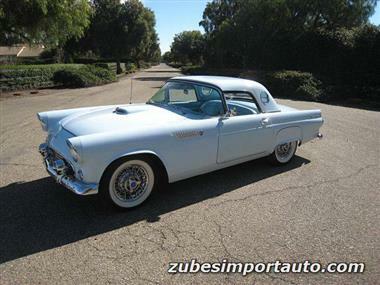 PLEASE VISIT PHOTO GALLERY @ ZUBESIMPORTAUTO.COM TO SEE 100+ PHOTOS</p><p>THIS T-BIRD WILL ONLY GO UP IN VALUE- PRICED WELL BELOW THE AVERAGE RETAIL VALUES FOR andrsquo;55. 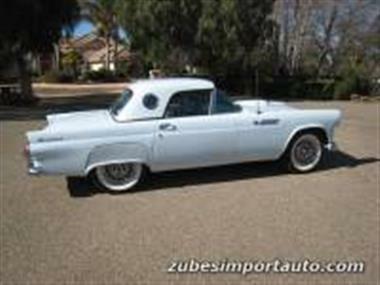 THE 1ST YEAR OF THE THUNDERBIRD W/ RARE 3 SPEED MANUAL IN BEAUTIFUL ROBINS EGG BLUE- RUNS AND DRIVES BEAUTIFULLY AND EVERYTHING WORKS AS IT SHOULD</p><p>CALL OR EMAIL FOR MORE DETAILS! 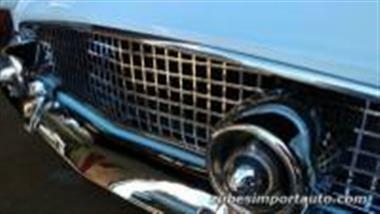 This vehicle is priced $1,018 more than the Average Market Price of $38,977 for a 1955 Ford Thunderbird. This is a Fair Deal as it's priced 3.0 % above market avg. The Pie chart below shows the number of ads within different price ranges.